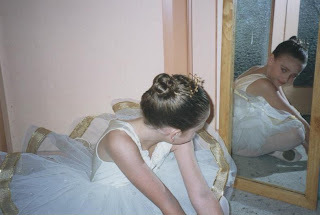 One of the many job titles I have been proud to wear over the years is that of Ballet Mum. (No; stop right there. I know what you are thinking – but I said ballet mum, not stage mum. Ballet mums are nice people who support their child’s desire to dance, make their costumes and take them to every rehearsal and eisteddfod. They don’t however let the dream of a famous child consume their life and are known to actually put their foot down when the ballet bill resembles the national budget of a small third world country and say enough – no more classes. They don’t get banned from eisteddfods for disputing the adjudicators’ decisions). 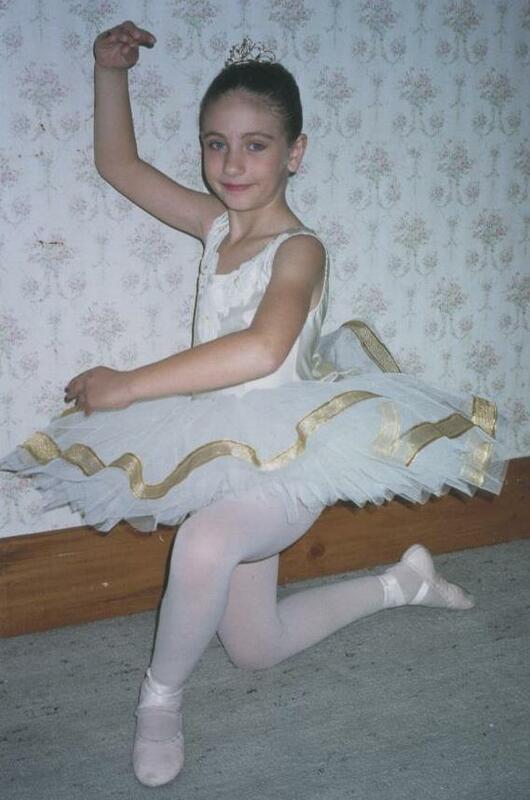 It has always somewhat bemused me that my eldest daughter has been such a passionate classical ballet dancer from the time she started dancing at four years of age until went she went to university and couldn’t continue. My mother reminds me that she took me for one ballet lesson when I was a child. At the end of the class, the teacher quietly took her aside and told her not to waste her money (and quite possibly the ballet teacher’s time). Clearly my childrens' dance ability does not genetically depend on their mother. Little budding ballerinas need ballet clothes. Ballet mums who are stay-at-home mums need to do this as cheaply as possible. (Have you seen the price of leotards and ballet shoes?) Hence I’ve knitted a number of ballet wrap jackets and leg warmers over the years. 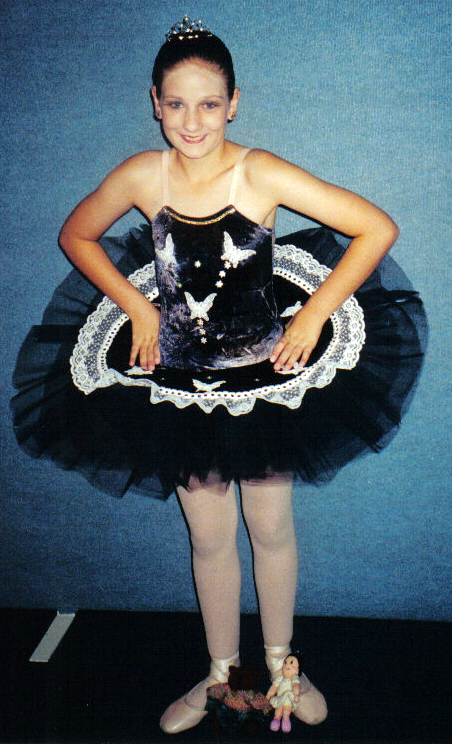 This was always partly driven by the fact that I had the only little tiny tot ballerina who refused to wear pink. (Who has their goth phase at five years old? It was minus the bad makeup though). Little ballerinas need their good luck charms and mascots too, to stick in the ballet bag for exam day and to take backstage at eisteddfods and concerts and to sit on the bed at night. So, I’ve also knitted a number of special ballet related toys too. This blog post is about two of these in particular. The first is a little ballerina dolly. I don’t know if she ever got a name. The doll was based on a design by Jean Occleshaw in the June 2000 edition of Handmade magazine. Whilst the basic doll is made following this pattern, the decoration and finishing touches are quite different. The inspiration came from the second tutu I ever made which for various reasons was affectionately known as ‘the wedding dress tutu’. The basic doll is knitted in a 5 ply machine wash on 2 ¼ mm knitting needles. Some modifications were made to the basic pattern with the removal of the neck ruff and the addition of lace appliqué on the neck of the tutu. I also modified the ballet ribbons on the ballet shoes. No self-respecting ballerina would ever tie a bow in their ribbons! The ends are tucked in and no knots are allowed to show. I also made a scale model tiara from copper wire and crystal and pearl beads. The second is ballerina teddy. I have actually made two ballerina teddies, one for my daughter and one for her jazz teacher for Christmas. The pattern is taken from Teddy Bears: Twenty-five irresistible designs for knitted bears by Debbie Bliss. The teddy is made from 8 ply bouclé wool. It is knitted on 2 ¾ mm knitting needles. The wrap jacket is made from 8 ply variegated yarn. The skirt is made from chiffon. The ballet shoes are knitted from a 8 ply baby nylon. Who could resist such a cute face? I prefer to use teddy eyes rather than embroidery. This is the butterfly tutu. Here are the teddies at an eisteddfod.